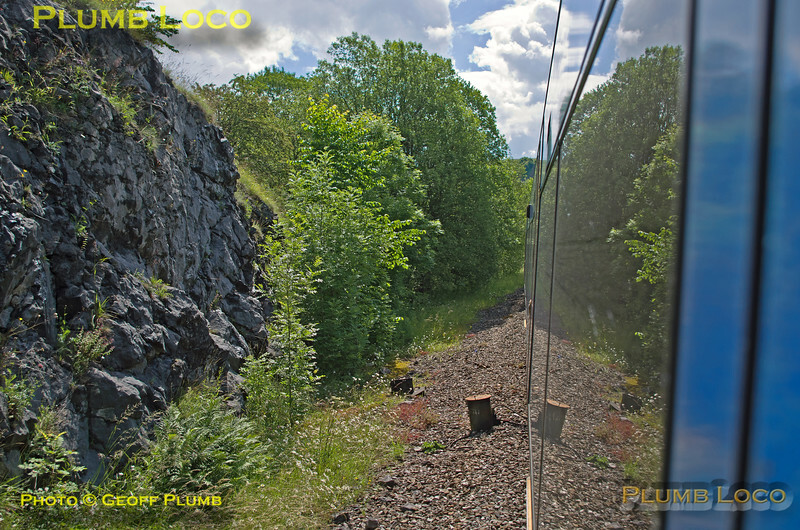 View from the rear cab of 170 307 as the "TPE Class 170 Farewell Tracker" tour approaches the site of Peak Forest Junction. This continued straight on towards Miller's Dale and the train is about to curve to the right to the site of Buxton Junction and then head west to Topley Pike and Buxton, 10:45, Sunday 3rd July 2016. Digital Image No. IGMP19141.